THERE was a handsome man in Kendari, Southeast Sulawesi. His name is Oheo. He is a kind and diligent farmer. He plants sugarcane trees on his ﬁeld. Everyday he always takes care of the trees. And he also takes care of the animals. It was time to harvest the sugarcane. He was so happy. Early in the morning, he left his house and went to the ﬁeld. However, he was so surprised when he arrived at the ﬁeld. The ﬁeld was in a mess. It seemed that some people had already taken his sugarcane. He was so upset. He wanted to ﬁnd the thief! He heard some people were laughing. Oheo tried not to make sounds. However, he could not ﬁnd them. And when he looked upward, he saw seven beautiful angels ﬂy at the sky. They had the sugarcane! Those angels flew to the river. They wanted to take a bath. Oheo followed them. Oheo was not angry anymore. Instead, he was so happy. He fell in love and wanted to marry one of the angels. Secretly, he took one of the angels’ shawls. And of course, after ﬁnished taking a bath, one angel could not ﬂy to the sky. Oheo then showed up. He pretended that he was willing to help her. “My name is Princess Anawai. I’m an angel. I just lost my shawl. Without it, I cannot ﬂy back to my home. I live in a palace in the sky,” said the angel. “Why don’t you stay at my home while I’m looking for it,” said Oheo. Princess Anawai agreed to stay at his house. She did not know that Oheo was hiding her shawl. Later, Oheo asked her to marry him. Princess Anawai agreed but Oheo had to promise one thing. Oheo had to clean and wash their children, if they defecated. Oheo agreed. He was really in love with her. Princess Anawai was so beautiful. He also thought that washing the child is not difﬁcult thing to do. It was a year after they got married and they had one child. As promised, Oheo always washed the child after the child defecated. In one morning, Oheo was busy in the ﬁeld. The child was defecating. Princess Anawai asked Oheo to wash the child. Oheo refused. He said that he was very busy. Princess Anawai was so sad that her husband did not keep his promise. So, she washed the child. And then accidentally, she found her shawl. It was kept in the bathroom. She wore her shawl and ﬂew to the sky. Oheo tried to impede her but Princess Anawai had already made up her mind. She was so disappointed. Oheo was so sorry. He blamed himself for not being able to keep the promise. He really loved his wife. He tried very hard to fly to the sky. Finally, he got help. A tree was willing to help him. Oheo and his child climbed the tree. Slowly, the tree is getting higher and higher. And soon, Oheo was able to go to the palace in the sky. When he arrived, the king was angry. Oheo was confused. He did not know how to ﬁnd her wife in the very dark room. 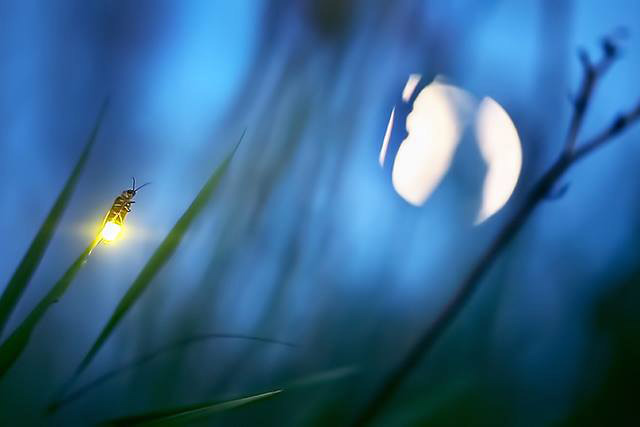 Suddenly, a ﬁrefly came to him. He was willing to help Oheo.